"Rate Your Brand: Zero to Ten"
On WIN Without Competing! Dr. Arlene will dispel branding myths and discuss her branding strategies. To succeed in growing your business or accelerating your career success, you must have a recognizable brand. Do YOU? Tune in to the show to find out. Using Dr. Arlene’s Branding Rating Scale, quickly evaluate your brand on a scale from zero to ten. Don’t be surprised if you discover that you have no brand, a buried brand, or a barren brand. Dr. Arlene, Branding & Hiring Expert, will show you how to create a visible brand! 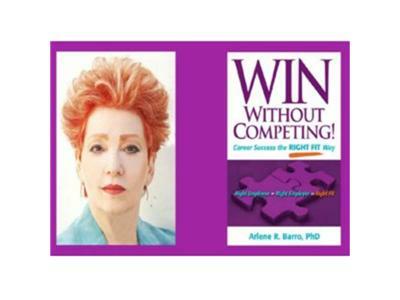 Email drbarro@winwithoutcompeting.com or call her office at 310-443-4277 for personalized branding information.